With sunny skies, nearly perfect year-round weather and a range of outdoor and cultural attractions, West Palm Beach presents the ideal setting for a weekend escape. Enjoy a game of golf at a number of pristine local courses or hit the beach for a day of tanning and catching up on your reading. See African chimps and endangered species like the Southern White rhinoceros wander free in a natural habitat at the Lion Country Safari. You could spend an entire day on Peanut Island, a popular tourist attraction that houses a bunker built for President John F. Kennedy during the Cold War. The island includes the bunker, a museum and plenty of picnic areas, plus biking and walking paths. The ferry ride to the island cruises past the opulent mansions of the city's wealthy residents. For those who prefer indoor endeavors, the Norton Museum boasts an exceptional collection of American, Chinese and European art. Famous performers appear at "The Harriet" and at the Kravis Center. Of course there's always shopping, the city's other favorite pastime. 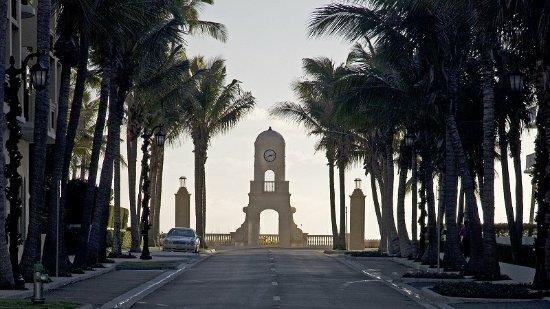 From designer boutiques to big name department stores, West Palm has it all. Palm Beach has long lured America's big name social elite, from the Kennedys to the Pulitzers to the Trumps. If you don't have the Jaguar, catch a Palm Tram around the city. Opulent extravagance is the order of the day. But if you can take your eyes off the glittering procession of socialites and the prices at Donald Trump's Mar-a-Lago Spa and in Worth Avenue stores, there are plenty of other sights to be seen. Don't miss Henry Morrison Flagler Museum or the hopping nightlife on Clematis Street.